Nicole M. Neidichis an Associate of the firm. She joined the firm in May 2012 as a summer Associate and worked at the firm on a part-time basis during her third year of law school. Ms. Neidich practices in the Firm’s Transactional Department, representing owners, developers, and investors in the purchase, sale, financing, and leasing of commercial and residential real estate. In addition to transactions, Ms. Neidich has represented developers throughout the condominium conversion process in compliance with the regulations of the New York State Attorney General. Ms. Neidich has lectured at numerous real estate brokerages in New York on topics affecting residential real estate transactions and has served as a panelist on the Recent Alumni Perspectives Panel sponsored by St. John’s Law School Mattone Family Institute for Real Estate Law. 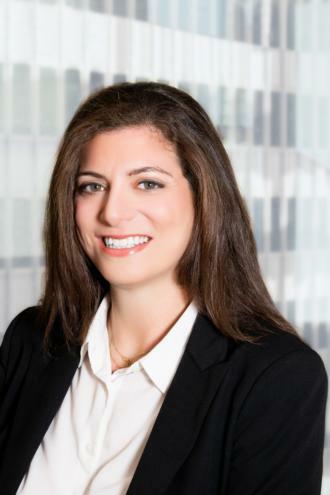 Ms. Neidich is a member of the New York City Bar Association Co-op and Condominium Committee and has been recognized as a Super Lawyers Rising Star.